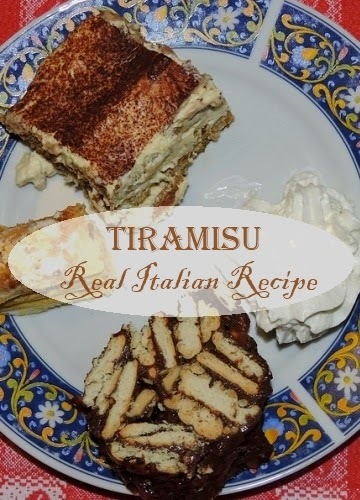 There are several versions which tell the history of Tiramisu and this makes it hard to trace the real roots of this delicious dessert. I think we should eat it and enjoy it but being Italy a country with a very rich culinary regional tradition, the question on the creator of Tiramisu has started a real dispute, mainly amongst the region of Tuscany, Piedmont and Veneto. The official story tells that Tiramisu was invented in the 17th century in Siena to celebrate the visit of Grand-duke of Tuscany, Cosimo de Medici (the Medici family is one of the most important family in the history of Tuscany). The chefs wanted the dessert to reflect the Grand-duke personality. So it needed to be important, with an outstanding taste; rich and creamy as the Grand-Duke loved desserts and sweet food in general. It also needed to be made with local ingredients! This is how the Tiramisu recipe was worked out. The result, we all know is absolutely outstanding. The original name of the dessert was "Zuppa del Duca" which means "Duke's Trifle". The Grand-Duke loved the dessert so much that he took the recipe with him to Florence. This had a tremendous success amongst the Italian aristocracy. The word that went round the aristocracy's milieu bestowed aphrodisiac power to the trifle and this is how the name Tiramisu was coined. Tiramisu literally means "lift me up".